Hiring the right experts is important in learning more about the characteristics of a home. 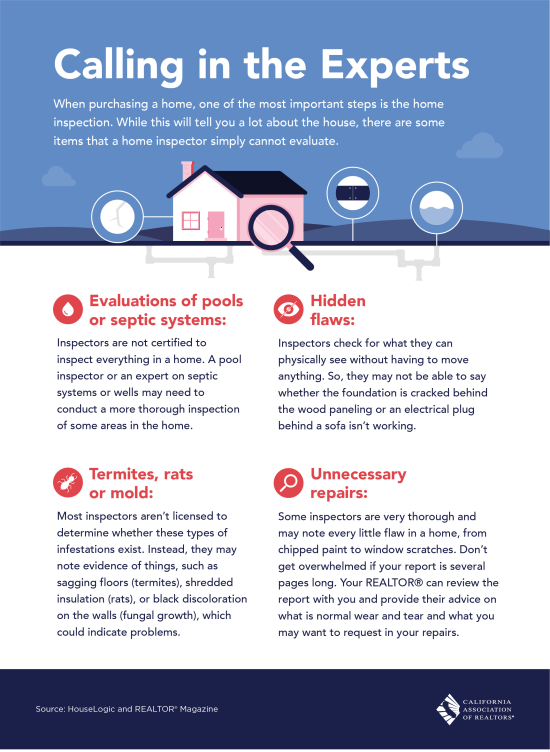 Experts can evaluate systems, hidden flaws, pests, roof, water and septic systems. Again, using the experts is important in knowing about your home investment.